In just the second full professional season of her career, Ellen Perez admits she has set high expectations for herself in 2019. 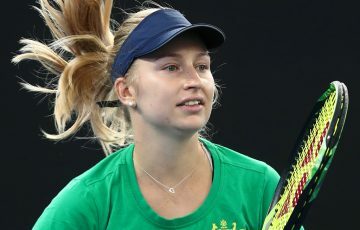 The left-hander from Wollongong would love to boost her singles ranking to the point where she qualifies for Grand Slams directly. She would love to reach the top 50 in doubles. And she would love to represent her country. With Australia’s Fed Cup semifinal against Belarus six weeks away, the latter is possible. “I would love to make myself available for Fed Cup. It’s definitely one of my huge goals. I’ve always dreamed of playing for Australia. I think I thrive in a team environment, especially having gone to college. Fed Cup would be one of the greatest honours I could have,” said the world No.215. 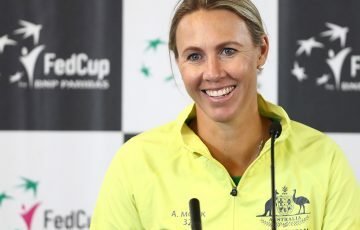 “I’ve never had the opportunity to play it before; even in the juniors I missed out on doing any Fed Cup, I missed out on any Australian touring events … I was kind of that one who was just one spot off making it (smiling). “I’m definitely very hungry and it’s always been a goal, and I would love to play the tie in April, but we’ve got a great crop of girls right now who had an incredible summer and very much deserved their spots. First, Perez is looking to get back into a competitive headspace following a three-week training block in Melbourne. Seeded second at this week’s Mildura Pro Tour event, she will play another Pro Tour event in Canberra before going to the United States for a swing of green clay tournaments leading into Roland Garros. Perez did not complete a training block in 2018, something she believes impacted her results at times throughout that season. She felt it was imperative this time around. 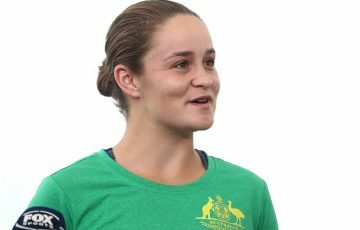 “We had a gap in the schedule (in February) and we could just work on a few things, get my legs stronger, get a bit fitter, and just break a few things down technically,” she told tennis.com.au before heading to Mildura. “We worked on changing my forehand a little bit; just my swing, the way I take it back, I shank sometimes. This is kind of a smoother swing path so it just allows me to stay on the ball longer. 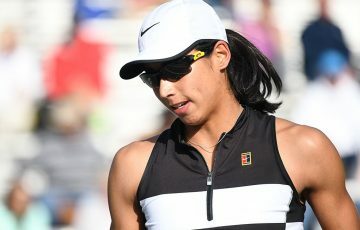 Perez didn’t stop playing college tennis for the University of Georgia until midway through 2017, meaning 2018 was her first full season on the professional circuit. 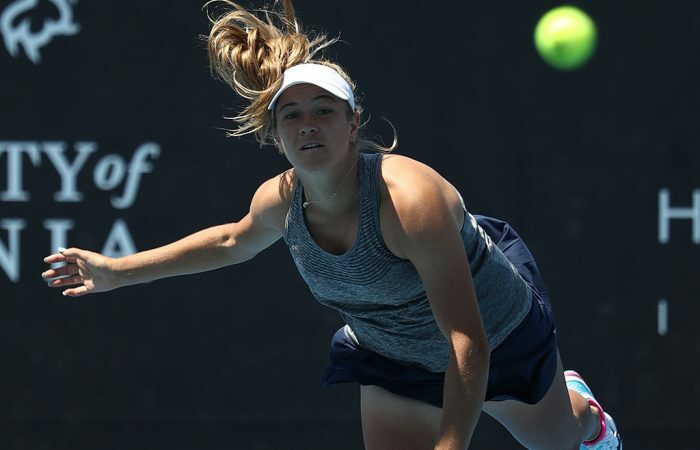 It was an eye-opening experience for the 23-year-old, yet she still managed to improve her ranking from No.343 to No.181 by season’s end after reaching five Australian Pro Tour finals. “I think these girls back it up, week in week out, really well. That was one thing I wouldn’t do as well – I’d play a tournament, and then kind of drop off again,” Perez said. “They have very strict routines and schedules, and I’d kind of fade in and out of that. They’re very professional in what they do in doing those one-percenters, with cool downs, warm ups. Perez is currently ranked No.91 in doubles, yet singles remains her priority. She said where possible, she would also play doubles, aiming to keep that ranking trending upward. As well as Fed Cup, she has the French Open and Wimbledon in her sights. “I hate putting numbers on it and I’ve never been the sort of play to set the bar too high, but I think that’s something I wanted to do this year,” she said.